The Magic is in the music! 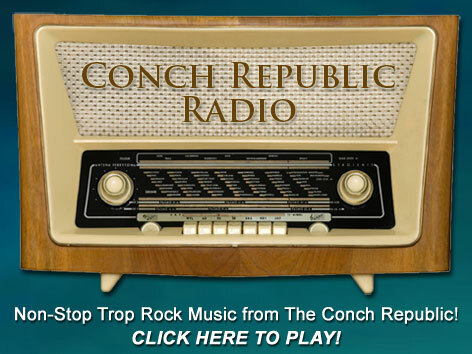 Conch Republic Radio is an internet Florida Keys Radio Station that streams the tropical music of The Florida Keys and Key West. the terrific musicians from The Conch Republic. Created especially for all you out of town Parrotheads! Conch Republic Radio is Parrothead Radio, streaming music 24/7 from The Florida Keys, Florida… perfect music for drinking a margarita, eating a cheeseburger while sitting on a beach in paradise. Extra thanks to the talented artists who generously contribute the gift of their music and make this project possible. New artists added daily so log on often to Conch Republic Radio! If you enjoy what you’ve been hearing, then please visit the musician’s web site where you can order their CDs. You’ll be helping them by supporting their creativity and you’ll feel good because you did. Thank You from the team at Conch Republic Radio! This is exciting news because we’ll bring you a complete line up of “popular” Trop Rock musicians in addition to all the talented independent artists!